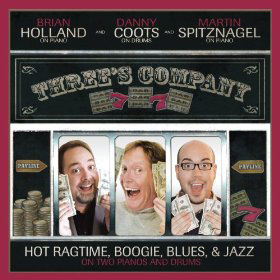 ​ALL PRICES INCLUDE FREE SHIPPING & HANDLING WITHIN THE U.S.
"Two of the most dazzling ragtime and jazz pianists in the world today team up with drummer Danny Coots for a refreshing album of hot ragtime, boogie, blues, and jazz." 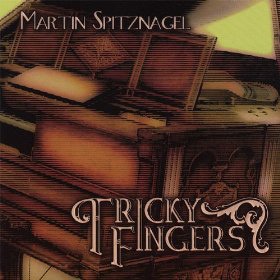 "What exists on this disc by Martin Spitznagel is one of the most amazing and diverse collections of syncopated styles and genres to be found on a single CD." 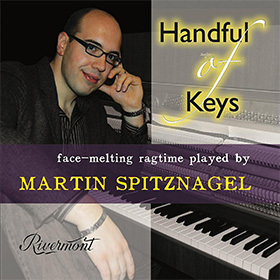 "Anyone who loves ragtime, piano, or just good music should give this a serious listen. Spitznagel pumps life into obscure gems and old favorites with quick playing and lively sound." Ready, Set, Ragtime! is Martin's brand new video course that addresses the most common questions about playing and composing ragtime. Each lesson is short, fun, easy to follow, and packed to the brim with insights from one of the world's preeminent ragtime piano players.